In the great Eastern spiritual traditions there is a special importance given to going beyond everything, essentially going beyond the world and even your own mind. This is the spiritual ideal of the great sages and teachings of the East. But this ultimate goal is something that frightens most people because they are not willing to truly give up their sense of “self.” People who become interested in spirituality forget this ideal. Sadly, people often subtly use spirituality to propagate their ego rather than dissolve it. This is especially rife in the West. The individualistic mind of the West has taken the holistic philosophies and practices of the East and turned them into something geared more towards self-interest and vanity rather than the dissolution of self, humility, and simplicity. To counter such widespread cultural appropriation, we need to understand what going beyond everything means and how and why we should really be aiming for those lofty heights previously only experienced by the great sages of antiquity. Going beyond everything means you’ve come into resonance with the underlying witness of all life. This witness is the pure awareness at the core of our being that we cover over with worldly experiences, mundane concerns, and individual conditioning. This witness is not overly considered in Western religions, but it is the spiritual ideal of the East. The goal is to firmly re-establish yourself in this pure awareness which is untouched by all experience. So, the focus of this goal is not about the “experience,” but instead the experiencer. The pure witness (experiencer) of all internal and external movement. This witness resides in all experiences, no matter whether the experience is pleasurable or painful. The witness is a permanent feature of consciousness and is actually the foundation of consciousness. The surprising thing is not many people in science or Western religions focused a lot of attention on the witness and this might be an unintentional oversight considering that if you are not a deep explorer of your own consciousness then the experiencer will be overlooked in favor of the actual experience. Thankfully the great Eastern spiritual traditions revealed that the pure awareness of our being is the essence of consciousness. Yet each tradition explained this a little differently. In Vedanta to remain as the Atman, the undifferentiated consciousness, the Self with a capital S, means to abide in that witness state without letting the turbulence of worldly experience shake you. In Samkhya and classical Yoga, the more you reside in pure awareness, Purusha, you will begin to separate from all the movement of energy in the universe and mind, Prakrti. You develop an actual gap, where Purusha can look upon Prakrti without being affected by its gravitational pull. In Buddhism we have Tathata, a word which refers to someone who has arrived at suchness or thusness. This is the Buddha mind that has recognized the utter impermanence of the world and, as a result, their sense of self has thinned away into Sunyata, the voidness of the universe where suchness is revealed. This is the Buddha’s immovable state symbolized in the Bhumisparsha mudra. And lastly, in Taoism there is the Absolute Tao that animates all life through the yin and yang energies of the universe. The great Taoist sages Lao-tzu and Chuang-tzu explain how we can absorb our mind in Tao by emptying our mind and allowing life to be as it will without our individual interference. By following this process, you begin to merge with the Tao. So, the common theme among all these great traditions is we should empty our faculties and instead of pursuing experience after experience, we should abide steadfast as the pure witness, the undifferentiated consciousness. And the promise of all the traditions is that abiding in pure awareness is actually the true key to happiness. Actually, they would say it leads to unassociated bliss, Ananda in Sanskrit. We’re often going from one experience to another trying to fill this emptiness we all feel inside, but it never leads to lasting happiness. The irony is ananda is not found in experience, but rather in dissolving the one who continually chases experiences. When we abide as the witness more and more and are not influenced by the activity of our mind, then we are in a state of bliss from not being a “person.” This is the advanced spirituality which is part of the higher religion of the East. 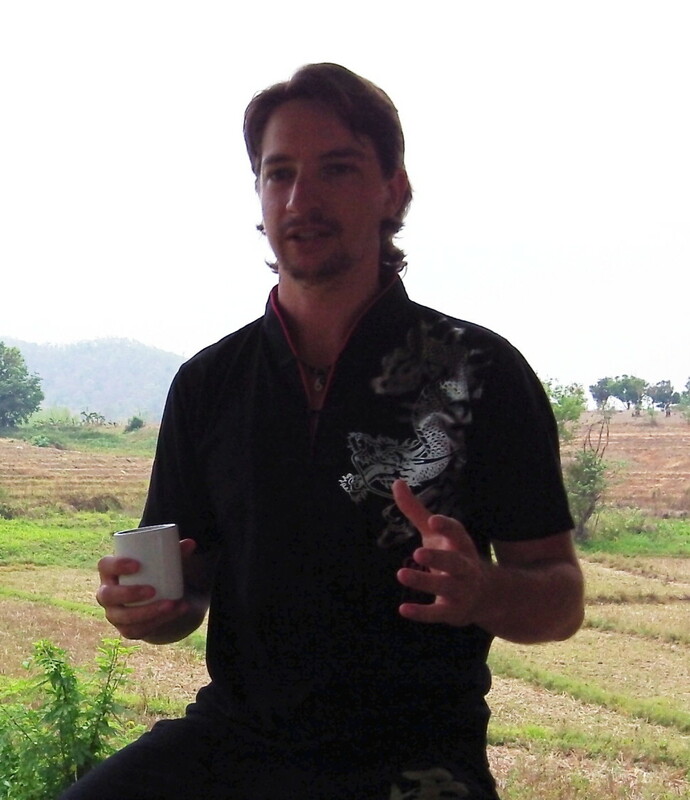 This sort of knowledge is what separates Eastern spirituality from Western religions. Too often these days people think there is a radical universalism existing among all religions. What we have to understand is that all religions have their place, but they are not equally efficacious. There are some similarities but they are somewhat loosely connected when we study each tradition. Eastern spirituality is far more transformative and peace bearing because the whole ethos of the Eastern traditions is based on the study of consciousness to discover the nature of mind and the universe. And they’ve done a damn good job at explaining all of that and more. Most importantly, they’ve given us the key to true knowledge of our nature. But this knowledge requires us to go beyond everything to experience our innate bliss. We have to turn our back on worldliness. This means we have to turn our back on worldly desires and any ambition we may have of becoming “someone.” This does not mean being apathetic because it is actually our personal agendas and individual conditioning which causes all the trouble in the world, so we seek to dissolve all that subjectivity to see the world from an objective viewpoint. Instead of indulging in the “I”-thought, we need to ask who is the experiencer of thoughts? Does the experiencer feel pain or pleasure? The truth is we only experience pain or pleasure in our mind when our pure awareness incorrectly identifies with the “I”-thought. We do this because most people haven’t established themselves as the witness and instead they are thrust here and there by their overactive mind. You need to abide as the witness to develop a distance between who you truly are as the witness and the never-ending activity in your mind. The big problem in our modern world is people are addicted to indulging in their mind activity. We can’t establish a distance because we are drowning in our own thoughts. Abiding as the pure awareness is a life raft always ready to save us from drowning. But the problem is most people are so addicted to thoughts that they believe the way to liberation is by swimming deeper in our thoughts. Even people interested in spirituality are only interested in the movement of energy in the universe rather than the foundation. In my years of teaching, I’ve realized many people are less interested in pure awareness and more interested in the movement of energy in the universe. I get asked to explain the feminine and masculine, the yin and yang energy of life all the time, mainly because people think that such knowledge can benefit themselves leading to fortune and abundance. But when I explain that the masculine and feminine energies exist in the psychological realm and have nothing to do with gender, people feel deflated because again this sort of knowledge is about sincere self-work and not individual self-interest and one gender being better than another. It’s all about coming in contact and understanding that witness. I usually ask those same people who is the witness of all this movement of energy including yin and yang? People say they know, but that’s only intellectual to them. It’s not a direct experience. They have not thrust themselves into an abidance in pure awareness. All energy, including movement, thoughts, and even the material world arise from the unstained awareness. If this is the case, then shouldn’t our focus be on this witness state rather than anything else? Though I know it is important to understand how the movement of energy operates because then we get a greater understanding of the source of all life and how to navigate effectively. But if our focus is only on energy and individual self-interest, then we will have no real awareness of the higher spiritual goal of moksha, the ultimate liberation which is facilitated through a reidentification with the Atman, the Self, rather than the Jiva, the isolated person bound to time. All experience is only experienced because of the experiencer. We need to know and understand this experiencer. Vedanta has an amazing way to explain this ever-present awareness in all experience. They explain this through four states of consciousness. Three states are common states we all experience. First, we have the waking state of consciousness which is our ordinary waking experience. Second, we have the dreaming state of consciousness which is a dreaming world where we still have a subjective experience. And third is the dreamless sleep state of consciousness, where everything coalesces into a vast nondual darkness with no subject or object. With these three common states of consciousness we experience the world. This means that waking, dreaming, and dreamless sleep are all still experiential. In dreams and dreamless sleep there is still a subtle awareness there that experiences that state. For example, you still witness a dream just like you witness the waking world. The experiences are different, but the witness is the same. These three states are all experiential. But what facilitates an experience is the continuity of the witness. And this witness, which is transcendent and yet immanent in all experience, is the fourth state of consciousness known in Sanskrit as Turiya, which simply means the fourth. Turiya is the pure awareness/witness. 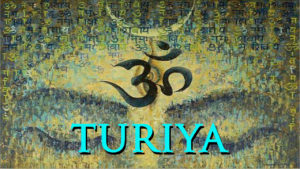 Turiya is like the secret foundation of consciousness that people truly are but they have lost connection with. Our firm identification in Turiya is what settles the constant activity in our mind which evokes ananda, bliss. Experiences can never evoke this permanent bliss felt by the great sages. Experiences are still experience, but there is always a witness to them. Even if we have a psychedelic experience, a near death experience, or an out of body experience, there is still a witness to all of those experiences. I’m not saying these aren’t spiritual experiences, they are deep spiritual experiences. But they are still an experience nevertheless. Take a psychedelic experience, for example. For some people psychedelics are extremely transformative. An experience can work on a deep subconscious and psychological level, helping us in our own personal evolution, which often reveals all the stuff we need to work on that we didn’t even know about ourselves. And psychedelics have the ability to permanently heal things about ourselves as well. Some people even experience a glimpse beyond duality thrusting us straight into the universe’s true loving essence. Even though this is all wonderful and beneficial, the Turiya is still present as your pure awareness in all experiences. And don’t get me wrong, I’m not saying psychedelics are good and healthy for everyone, it’s just an example of how our witness of all experience is always overlooked for the actual experience. This might also answer why when Ram Dass gave LSD to his guru Neem Karoli Baba it didn’t affect him. Actually, Neem Karoli Baba said meditation is better. But his reaction might be the result from decades of residing in the Turiya, where unassociated bliss was his normal state. So, psychedelics can have a deep impact on your life, but because it’s an experience it doesn’t last and as a result it won’t give you that ultimate bliss that the East promises us. The only way to be firmly in bliss is to go beyond the world. To do this you have to settle the whirlpools of activity within your mind, where you can see right into its transparent and reflective nature. What you will find is the undifferentiated Self which is within everything and also beyond everything. But to be That you have to establish yourself firmly as the witness without the mind distracting you. Abide in Turiya and know the bliss innate within all our hearts as the one undifferentiated state of consciousness. Nice to hear from you Larry. My information is not wrong. I study traditional Vedanta and don’t try to tamper with the original teachings to make myself look good or like an exceptional teacher. I trust the teachings. My research consists of all the classics, plus a ton of other books and teachers which are too long for a comment. One of the main teachers I have learned from is Swami Sarvapriyananda. He is classically trained in Vedanta. I trust him above all teachers in the field of Vedanta. The information you read in this article is not “my” information. But rather an article built on traditional knowledge. I hope this clears everything up for you. Peace to you Larry.